Today almost every country in the world celebrates mothers day in some way. More phone calls are made on Mother’s Day than any other day of the year? It is one of the biggest international gifting holidays and is second only to Valentines day in flower sales. But this was never the intention when Anna Jarvis campaigned for her Mothers Day Memorial. Mothers day was never meant to develop into such a profitable and economic commercial machine. So how did it get so out of control and what is the history behind Mothers Day? Many religions around the world have long held celebrations and religious festivals for mothers and mother hood. The Roman Catholics held a similar celebration for the Mother Mary. In Hindu Mother’s Day is called “Mata Tirtha Aunshi” meaning “Mother Pilgrimage fortnight”, and is celebrated on the new moon day in the month of Baisakh, i.e., April/May. This celebration pre-dates the creation of the US-inspired celebration by at least a few centuries. Even in America there was another precursor to Mother’s Day. In 1870 Julia Ward Howe wrote the “Mother’s Day Proclamation,” A call to action that asked mothers to unite in promoting world peace. Maybe we should give this try. It was a reminder of the power mothers have when they come together. The way in which they raise their children will in fact change the landscape of the world. This Proclaimation was tied to Howe’s feminist conviction that women had a responsibility to shape their societies at the political level. It was a reminder of the power that women held within the home, shaping the lives and minds of their children. It was about Mothers and women taking action on this day, instead of passively waiting to be given presents. In 1872 Howe asked for the celebration of a “Mother’s Day for Peace” on 2 June of every year, but she was unsuccessful. The Mothers day we know today was first held in America in 1908 and was a very private and important day when Anna Jarvis held a memorial for her mother in Grafton, West Virginia. Anna Jarvis held carnations at the first Mother’s Day celebration, because carnations were her mother’s favourite flower. Anna’s mother Ann Reeves Jarvis, died in 1905. She was a peace activist who cared for wounded soldiers on both sides of the Civil War and created ‘Mother’s Day Work Clubs’ to address public health issues. These clubs also help to teach local women how to properly care for their children. After her mother passed away, Anna’s mission was to honor her mother by continuing the work she started and to set aside a day to honor mothers, “the person who has done more for you than anyone in the world”. It took 6 years of campaigning as the States of American slowly begun to acknowledge and celebrate the Day. 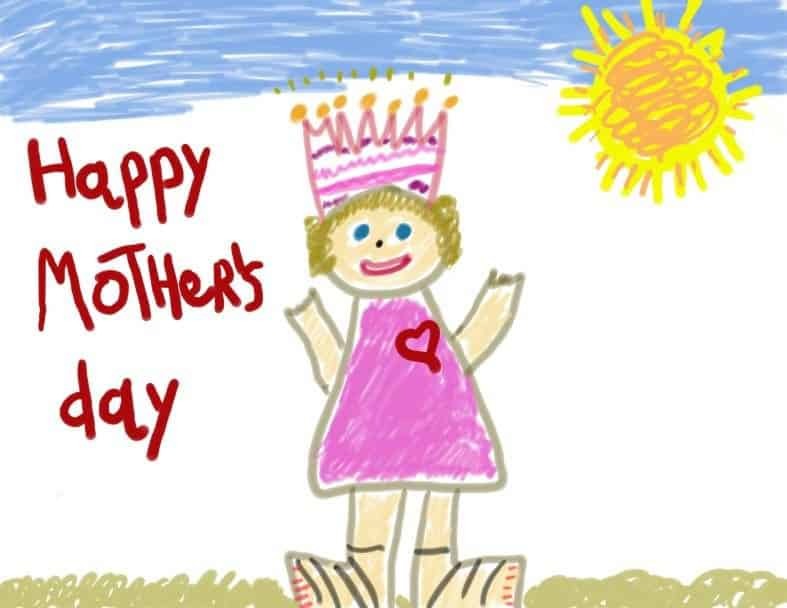 Mother’s day was not made an official United StatesPublic holiday until 1914. It is not just about the maternal bonds between mother and child, it is about the positive impact mothers have on society and the work they do for their children, the community that can often go over looked. In the beginning Mother’s day was about giving mothers power and reminding them of what can be achieved when women and mothers come together. By the early 1920s, Hallmark and other companies started selling Mother’s Day cards and florist were starting to profit from the sale of flowers, mostly carnations the recognised symbol of mothers day. Wearing a white carnation on mothers day was a way honour a deceased mother, while wearing a pink carnation was to honour a living mother. What is interesting about Mothers day is that the woman who started it all, Anna Jarvis would later be the one to most furiously denounce it. In the years following the recognition of Mothers Day, Jarvis saw the holiday’s commercialisation, profiting and mis representation. She was particularly against the sale of pre-made standardised Mothers Day Cards. Jarvis believed mothers day was about long hand written letters to Mothers for their thanks. It was a day to go to church with your mother and hear the Mothers Day Mass. Jarvis became so embittered by what she saw as misinterpretation and exploitation of Mother’s Day that she protested and even tried to rescind Mother’s Day. Mothers day is now very firmly established in calendar. In the U.S. alone, Mother’s Day 2012 spending will reach $18.6 billion—with the average adult spending more than $152.52 on gifts, the National Retail Federation estimates. But it is not all about carnations, tea and hand made cards. Mothers Day often coincides with a large birth spike in August of the following year. Interesting.